coarse, elastic, porouswool fibre with a brighttwillstructure, which may also be inlinen weave of carded yarn and is most commonly of doghair wool with undyed dead hair; it gives the appearance of being hand-woven. 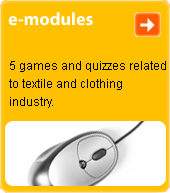 Fabric is used for sports-style garments, jackets, suits, coats, and ladies' suits. The name "homespun" is derived from the English - such work was originally performed in the home.